There are several advantages of using carpets at homes and offices. It gives an extraordinary look to an ordinary place. Carpets cover the floors thus, preventing the floor tiles from getting dirty. Moreover, it also prevents our feet from cold. 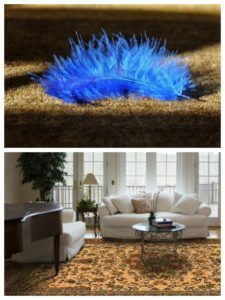 A carpet is a very useful thing and carpet cleaning is that much important to use the product for a longer period. Carpet cleaning for Perth is a professional carpet cleaner. If you want to extend the life of your carpet then you can call us. We are well-known for our service across all the suburbs in Perth. We clean carpets using latest equipment and biodegradable cleaning products. Our technicians are skilled in cleaning carpets without damaging its fibres. Professional cleaners do pre-vacuuming and pre-treatment, the first stages of carpet cleaning, using a commercial vacuum cleaner. It removes the finest dust and tiny particles prior to the complete extraction process. After vacuum cleaning, a strong, high-concentration detergent is sprayed to lose embedded dust on the surface of the carpet and remove stains. All the dirt embedded in your carpet is removed using a strong extraction system which is effective in cleaning even the base of the carpet. After completion of this step, a fast dry method is used to extract extra water from the carpet. At last, a deodorant is sprayed to leave a good fragrance. Professional cleaners ensure carpets’ resistance to dirt accumulation; maintain their softness, cleanliness for a longer period through neutralizing process. Why Carpet Cleaning for Perth is One of the Best Carpet Cleaners? We use high-quality equipment, such as state-of-the-art vacuum cleaners, Hot Water Extraction machine, and dry cleaning machine, to remove even the tiny dust particles embedded in the base of the carpet. This makes us a trusted company at Chidlow WA 6556. Our technicians know which product is to be used to remove different types of stains. Application of right cleanser for the right spot does not damage the fibres. We use high-quality deodorants on the carpet which are both eco-friendly and long lasting. Therefore, it does not harm your pets or family members for that matter. Once the carpet cleaning is done, our technicians survey the carpet again to check if there is any spot or stain left on the carpet. If they find any stubborn marks, they apply special spotting solution to remove them. Post cleaning, our technicians at Chidlow WA 6556 give useful tips to the users on how to extend the life of their carpet and remove stains. They also groom the carpet at last to remove any wand mark and footprint. We are very proud to say that we are one of the best professional carpet cleaners across the suburb. Therefore if you reside from Chidlow WA 6556, then allow us to serve you in the most refined manner. If you avail our service, you can easily notice the difference between our service and the service of other cleaners. Carpet Cleaning for Perth Eases the Process of Tile and Grout Cleaning for You! Floor tiles and grout lines get dirty very soon, even though you groom and mop them regularly. They need special care which is not possible without proper equipment and right cleaning agents. To give your house or office a magnificent look call Carpet Cleaning for Perth. We know how to return back the shine on the floors and grout lines. How Do We Do Tile and Grout Cleaning? We use high-quality steam cleaners which are effective enough to clean and sanitize any kind of tile and grout line. Our steam cleaners at Chidlow WA 6556 have various types of attachments, such as stem hose and small brush, to clean the dirt embedded on grout lines. We also use high-pressure rotary tool with double rotating jets which can be attached to the truck-mounted steam or pressure machine that we use for cleaning carpets. The combined equipment is highly effective in tile and floor cleaning. We apply different types of cleaning products to clean different types of dirt. We spray or spread the cleaning agent all over the floor and leave it for penetration. Once the cleaning product is penetrated into the tiles and grout lines, the floor is scrubbed with a brush. Next, the floor is rinsed with clean water to wash off all the dirt and deep stains. We use a powerful dryer to wipe the floor and never leave the premises until the floor is completely dry and our customer is satisfied. What Makes Us Different from Other Professional Floor Cleaners at Chidlow WA 6556? We also seal the grout lines after tile and grout cleaning. It is very important to seal the grout lines properly because grout is a porous substance where soil and spills can easily settle. The seal acts as a protective cover, which does not allow dirt and spills to settle into the grout. We use high-quality sealant with higher stain resistance capacity. Use different cleaning products for different types of floors. Our technicians at Carpet Cleaning for Perth are specialized in distinguishing different types of tile and grout product. They can use the cleaning product accordingly. For instance, if the tiles are made up of ceramic and porcelain then we can apply any kind of alkaline, acidic or pH neutral cleansers on them. 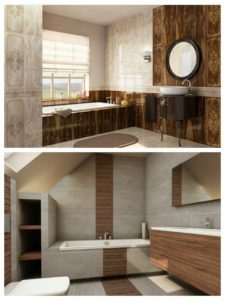 In a case of stone tiles and grout, we use particular types of cleansers which do not reduce the lustre, damage or scratch the finish of the tiles. We never use any kind of cleaning agents for tile and grout cleaning that are toxins and cause more harm rather than doing any good. Our qualified staff members are very energetic and committed to their duty. Our service is available across the entire Chidlow WA 6556. We are available throughout the day and response to your queries as fast as possible. Be ensured to receive 100% satisfactory service. Are you worried because in spite of your endless effort you are unable to remove the tough stains and spots from your sofa set? Every time, your guests sit on the sofa they notice the layer of dust particles on the arms of the sofa-set. Are you concerned that your upholstered furniture is a house of mildew? Don’t worry as Carpet Cleaning for Perth cleans using steam and makes it totally free from the germ. Before undertaking the upholstery cleaning process, the technicians conduct colour fast test and pile test. Accordingly, they decide whether to do dry cleaning and steam cleaning. We are the leading professional cleaners across Chidlow WA 6556. We have our own lab for testing the performance and healthiness of our Hot Carbonating Extraction cleaning method. After multiple tests, we have reached the conclusion that our Hot Carbonating Extraction method eliminates 99% of domestic allergens from upholstered furniture. During the tests, we used common domestic allergens such as dog and cat dander, and dust mite allergen. Additionally, our HCE process combined with a sanitizer eliminates around 89% of the germs which grow in homes. It also enhances indoor air quality at your place in Chidlow WA 6556. While thinking about professional upholstery cleaning, the first thing that comes to people’s mind is harmful chemical. People are usually concerned that the professional cleaners might use strong detergents or harsh chemicals to remove stains which could be harmful to both the fibres as well as for the family members. With Carpet cleaning for Perth, you do not need to worry about that. We use eco-friendly, carbonated solution to clean your upholstered furniture. Our method of cleaning is extremely safe for your children and pets. The cleaning product we use dries faster and checks re-soiling. Our cleaning product is strong enough to break up the dirt and grime settled deep within the fibres of the upholstered furniture. Again, all cleaning products we use are absolutely safe and non-toxic that revitalize the furniture for healthier and long lasting cleanliness. Periodic professional upholstery cleaning is also necessary to enhance the durability of your expensive upholstered items. We believe that hot water extraction process is the best way to clean the fibres of upholstered furniture. Our trained representatives at Chidlow WA 6556 know how to clean different types of fabrics, thus; there is no reason to worry regarding the safety of your products. We ensure to enhance the durability of the upholstery. When buying luxurious items, there are so many options available to you. You can see advertisements in television, internet or directly visit the shops. 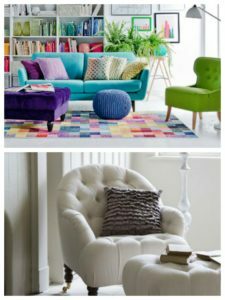 You can compare the prices and easily buy a beautiful carpet or a cozy sofa set. But when it comes to maintaining them, there are very limited options available. We understand how difficult it is to clean the floor tiles and grout lines, heavy carpets and upholstered furniture. Therefore, we are offering professional cleaning service across all over Chidlow WA 6556 region. We are easily accessible around the clock and charge a reasonable rate for shining your home. If you have not yet availed our service, just try once. We, Carpet Cleaning for Perth, assure you to give you a valuable service. Seeking Carpet Cleaning, Upholstery Cleaning or Tile and Grout Cleaning in Chidlow WA 6556? Call us now on 0424 470 460.